Keeping your home at a comfortable temperature is an extremely important consideration for most homeowners. The term "CFM" is an acronym that stands for "cubic feet per minute," a term used to describe a fan's efficiency in terms of airflow. Determining the CFM of a room is a mathematical process of figuring the room's cubic area as well as the rate at which you desire the air to circulate throughout the room. 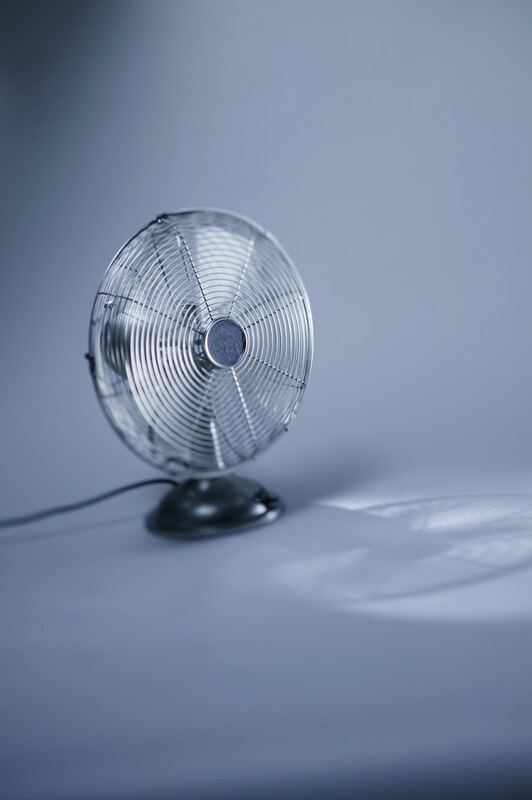 Calculating the CFM of a room helps when choosing a fan. Air movement affects air quality. Measure the room's width and length. Also measure the height of the room from the ceiling to the floor. Multiply the three measurements from step 1 to determine the cubic footage of the room. For instance, if a room is 8 feet wide, 10 feet long and 8 feet high, multiply 8 times 10 times 8 to get 640 cubic feet. Multiply the cubic volume of the room by the number of times you want the air to turn over or exchange in an hour. For example, if you expect the air to be exchanged twice per hour, multiply 2 times 640 to get 1,440. Divide your answer from step 3 by 60 to calculate CFM. In this example, you would divide 1,440 by 60 to get a CFM of 24.